Drones are becoming much more accessible and the cost of aerial filming is not as high as it once was. They are now being used for a wide range of purposes and provide a new perspective to the things we do. This has seen the launch of various new industries that offer aerial filming and photography for specialised projects. This includes the use of drones for filming golf courses. This new service has arisen with the use of drones and sees companies offering aerial filming of each hole on the course. But what exactly is the benefit of using these golf course drones and what does it give golfers that they didn’t have before? Aerial filming for golf courses has provided golfers with a new way to view the golf course. The drones are used to shoot tee-to-green films of golf holes that act as a guide for the players. This provides a new perspective for golfers and allows them to view each hole and the course from angles they hadn’t considered before. It gives players a new angle on things like the hazards that they face. An aerial video can give golfers a much better perspective of the course and allow them to see aspects that are not as easily visible from the ground. What else do drones offer a golf course? There are not just advantages for the players either, as aerial filming has plenty of advantages for the course itself too. It means that they can offer golfers something extra to help improve their game and might be a factor in somebody joining the club. It can also provide a club with some great material that is perfect for marketing purposes. 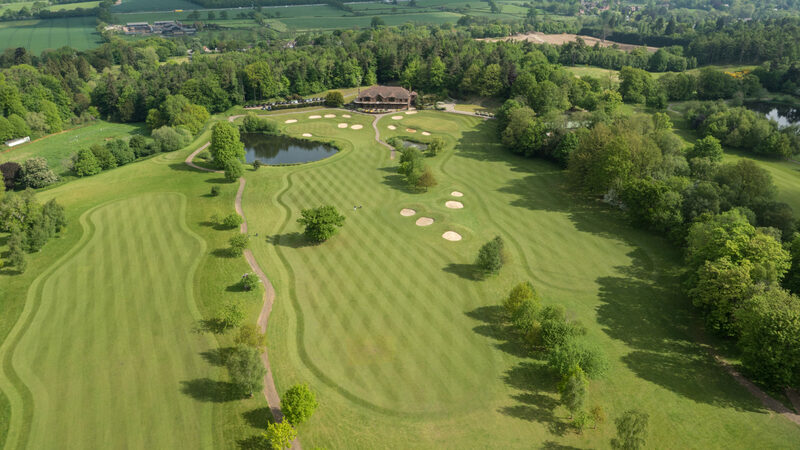 Photography from the ground doesn’t always give players an accurate idea of the entire course, but with the utilisation of drone technology, you can get fantastic aerial photos that paint a much better picture of the course. With social media hugely important for today’s businesses, aerial photography and filming can also be essential tools in the promotion of your brand. Plenty of golf courses are now turning to drone companies to film their fairways for exactly these reasons. A large number of the major golf courses now use drone filming, including Turnberry in Scotland- host of the 2009 Open. But it’s not just the major courses either, many smaller courses across the UK are now turning to aerial filming and photography of their courses. Although you could buy a drone and do the filming and photography yourself, this can often prove to be costly and time consuming. Instead, there are a number of companies that will film the course for you and take the hassle out of the process. This means you will get professional drone pilots that can produce high quality photographs or film for use on your website. This can add a whole other dimension to your club and help you to promote your business. If you’re looking for a company to film your golf course then we can provide the perfect solution to meet your needs. We are specialists in aerial filming and photography and are the go-to choice for companies in the UK, with a great deal of experience in the field. Our professional pilots have carried out projects on many golf courses, for a number of high profile clients. Get in touch today and see how we can help.